Turning pollution into art is a growing (albeit weird) trend and some companies are using it as a new-fangled marketing angle as well. Tiger Beer, Asia’s premium lager, has armed emerging street artists with Air-Ink, the world’s first ink made from air pollution. 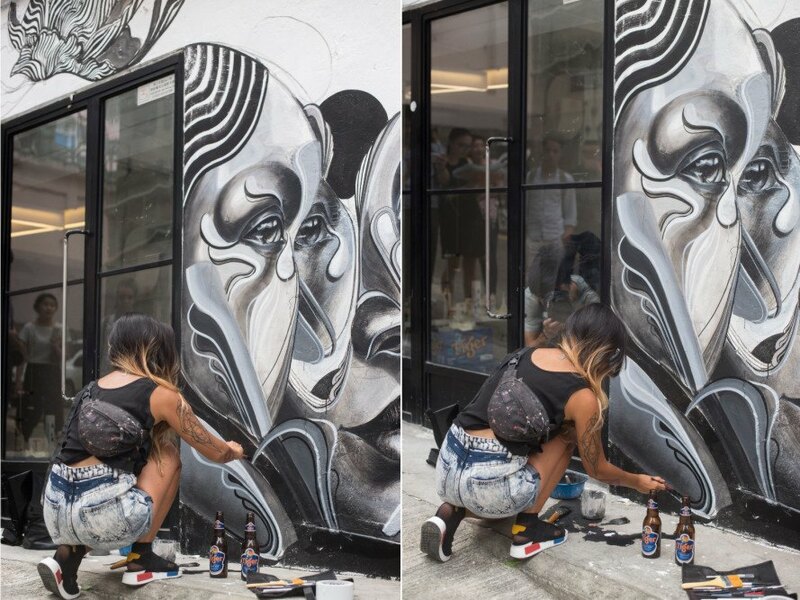 The beer maker recently hosted a street art event in Hong Kong to celebrate the launch of the new art supplies, giving a team of artists a chance to show off their talents while kicking back a few frosty brews. 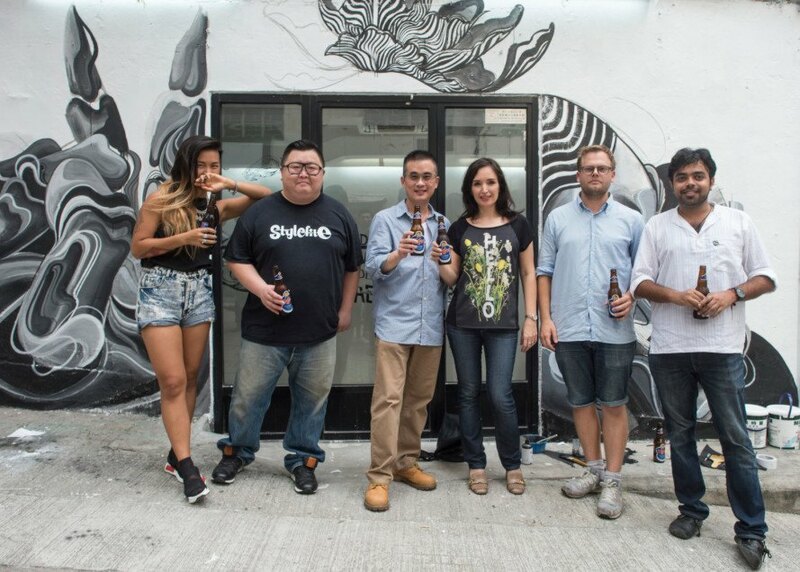 The beer company, which is one of the Heineken brands ‘brewed by the sun,’ says the Air-Ink initiative was inspired by Asia’s struggle with air pollution, and the project is an opportunity to help Asians reconnect with their beloved city streets. 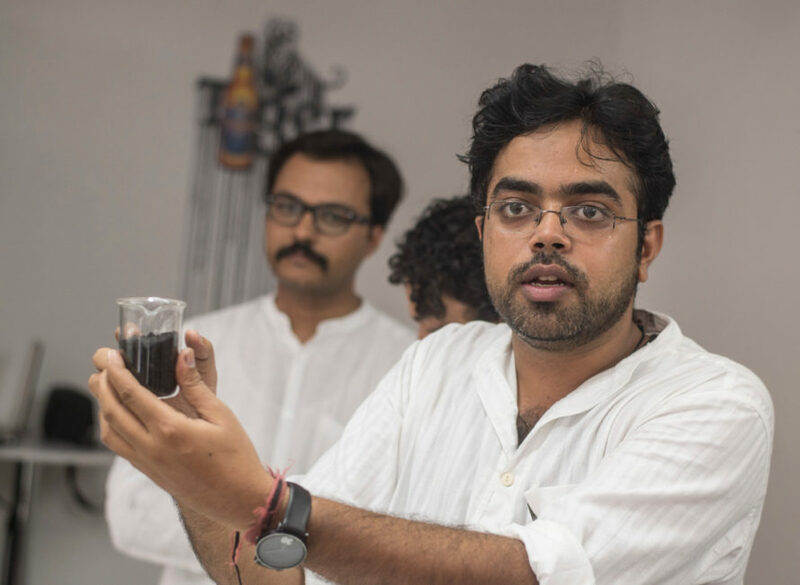 To create Air-Ink, Tiger Beer hooked up with Anirudh Sharma, Bangalore India entrepreneur and Indian Graviky Lab inventor. Sharma had previously developed a technique for producing a safe-to-use ink from pollution particles, and he customized the process for the streets of Hong Kong. Carbon-rich soot is harvested from sources including exhausts and chimneys, and so far has been transformed into 150 liters of Air-Ink. Tiger Beer says that is the approximate equivalent of carbon dioxide emissions from 2,500 hours or 104 days of driving a typical diesel vehicle. The street art installation celebrated the launch of Air-Ink, and it’s unclear what will happen next. Tiger Beer has packaged Air-Ink in pens and markers of various sizes, as well as spray paint cans and ink refills, but the company doesn’t appear to have plans to sell them to the public. Instead, perhaps we’ll see the recycled art medium pop up at other Tiger-sponsored events happening elsewhere on the streets of Asia. The beer company, which is one of the Heineken brands ‘brewed by the sun,’ says the Air-Ink initiative was inspired by Asia’s struggle with air pollution, and the project is an opportunity to help Asians reconnect with their beloved city streets. To create Air-Ink, Tiger Beer hooked up with Anirudh Sharma, Bangalore India entrepreneur and Indian Graviky Lab inventor. Sharma had previously developed a technique for producing a safe-to-use ink from pollution particles, and he customized the process for the streets of Hong Kong. Carbon-rich soot is harvested from sources including exhausts and chimneys, and so far has been transformed into 150 liters of Air-Ink. Tiger Beer says that is the approximate equivalent of carbon dioxide emissions from 2,500 hours or 104 days of driving a typical diesel vehicle. The street art installation celebrated the launch of Air-Ink, and it’s unclear what will happen next. Tiger Beer has packaged Air-Ink in pens and markers of various sizes, as well as spray paint cans and ink refills, but the company doesn’t appear to have plans to sell them to the public. Instead, perhaps we’ll see the recycled art medium pop up at other Tiger-sponsored events happening elsewhere on the streets of Asia.